Enjoy a relaxing boat cruise and guided snorkeling tours to explore plenty of remote sheltered gulfs, countless beautiful beaches, and amazing underwater seascapes. During the cruise you will relax under the Greek sun, swim in the crystal clear sea waters and snorkel. – a standard 3-hour cruise to explore the southern part of Skopelos island including the following beautiful locations: Panormos bay, Kastani beach, Amarantos bay, Hovolo beach, Dasia island. This cruise includes a skipper and professional PADI guide, full snorkeling equipment, snacks and soft drinks. Participants will be charged for additional services and/or equipment. 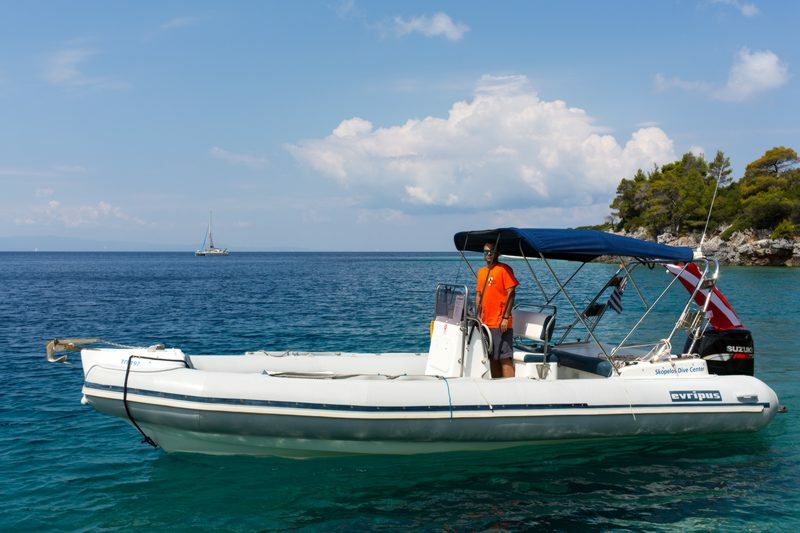 – a standard 5-hour cruise to explore the coastline of Skopelos island, including the famous Mamma-Mia church (Agios Ioannis, Kastri), rare underwater seascapes, the National Marine Park of Alonissos, Cape Gourouni and various islets around Skiathos. 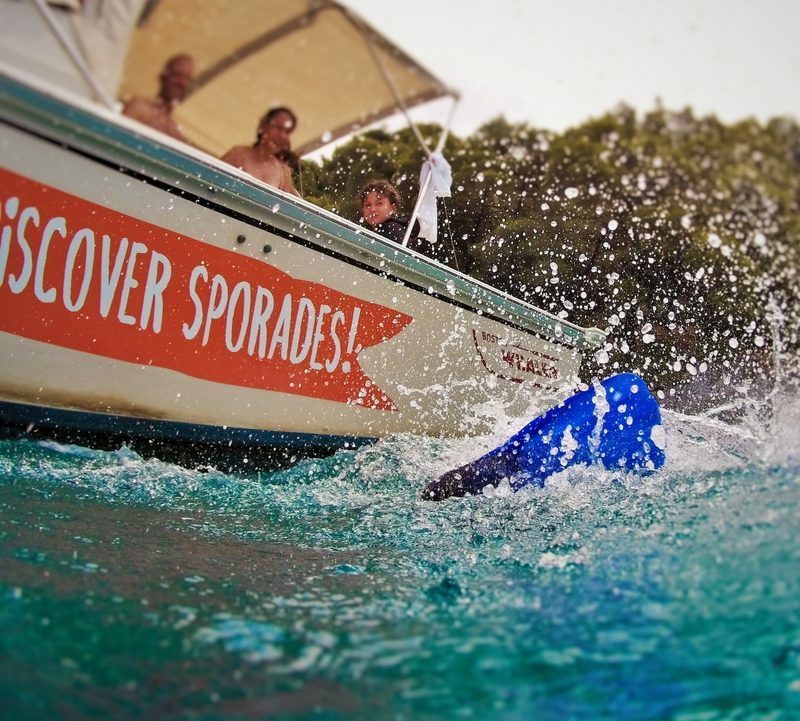 The cruise includes a skipper and professional PADI guide, full snorkeling equipment, snacks and soft drinks. – A customized cruise with a personalized itinerary and timing. We will help you plan the ideal cruise and snorkeling tour, based on your preferred coastal destinations, water activities, departure/arrival point, etc. Deposit: 10% of the total amount, which will held as a cancelation fee.